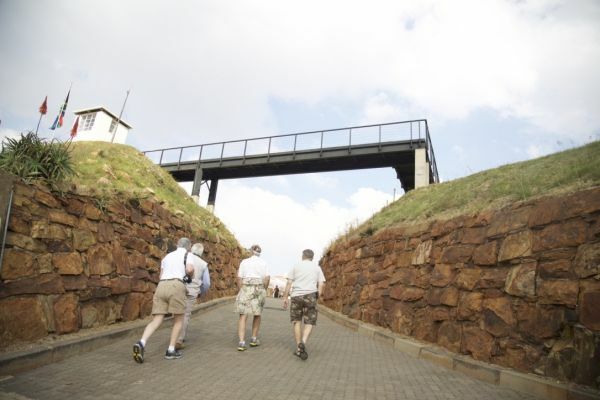 Constitution Hill offers a range of guided tours, from our one-hour Highlights Tour to our two-hour Full Tour and numerous special tours that include our Night Tour, Time Travel Tour, Walk with Madiba Tour, Art and Justice Tour and a tour of the Constitutional Court. These tours can be booked on Webtickets or by contacting us. 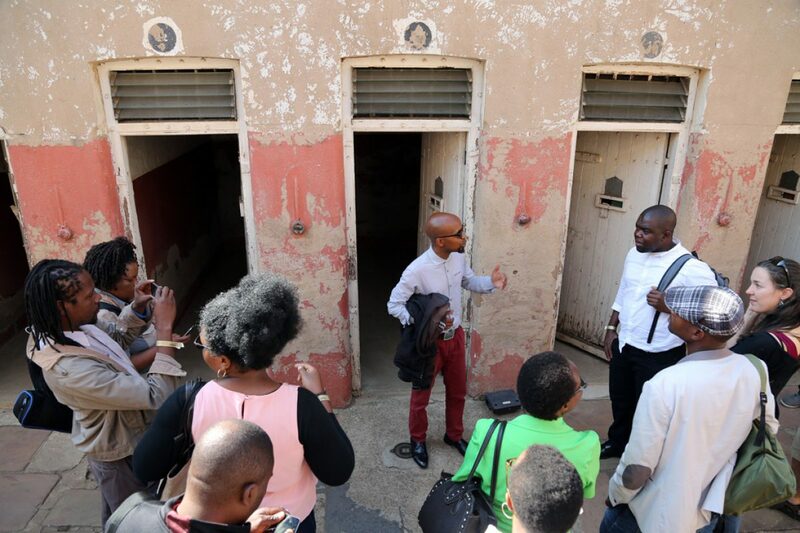 Our Highlights Tour is an hour long and alternates each hour, visiting the Women's Jail, Number Four and the Constitutional Court one hour, and the Old Fort, Number Four and the Constitutional Court the next. This tour is particularly useful for organised tours, visitors arriving on the City Sightseeing red bus and those with limited time. After the tour, you are welcome to explore the rest of the precinct on your own. 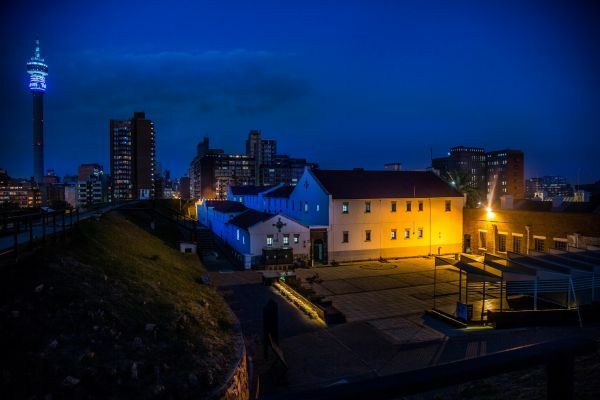 Experience the whole of Constitution Hill – the Old Fort, the Women's Jail, Number Four and the Constitutional Court – on our two-hour Full Tour. 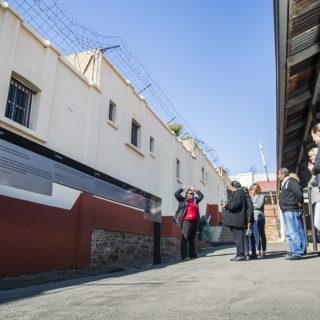 This holistic tour comes to the heart of what Constitution Hill is all about, exploring the precinct’s complex history, its mutations through time, the humiliations and injustices to which its inmates were subjected, and offering an explanation as to why the court’s presence in this place is so meaningful. The Full Tour departs from the Visitor Centre twice a day, at 10am and at 1pm. 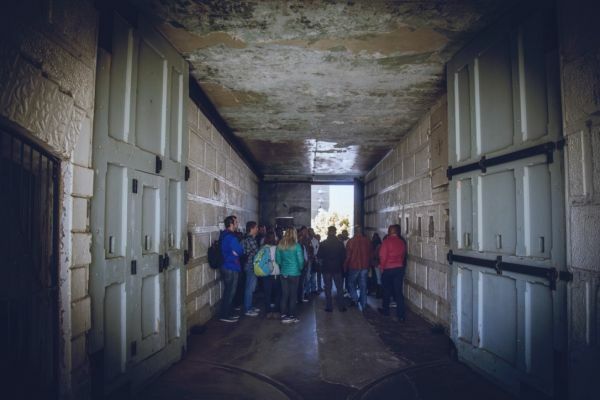 Group tours can be booked for groups of 10 people or more. 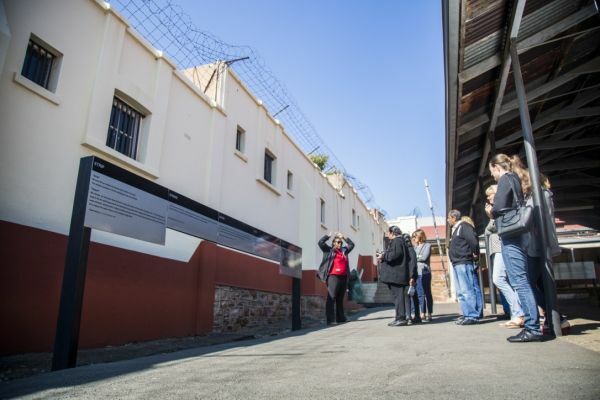 Constitution Hill is a deeply resonant space, filled with the echoes of the many men and women who were incarcerated within its walls during its 100-year history. At night, however, without the comings and goings of its daytime visitors or the buzz of the city beyond, the precinct is a different space altogether. 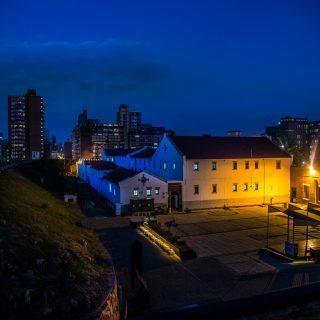 Our Night Tour offers our visitors the chance to explore Constitution Hill beneath the night sky, giving a sense of what prisoners might have experienced during the quieter hours of their confinement. The tour starts with sundowners on the Old Fort ramparts and ends with dinner at The Hill restaurant. Our Night Tours take place on the last Thursday of every month. The tour is available for groups of 10 people or more and advance bookings are essential. 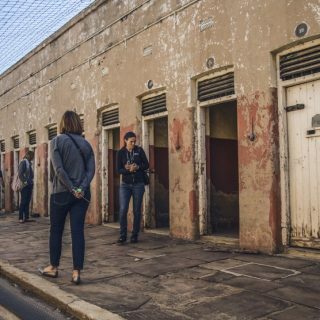 Walking through Constitution Hill with one of our highly qualified guides offers a sense of what the precinct was like when it was an operational prison. There is one way, however, to enhance this experience so that the precinct truly comes to life. Our Time Travel Tour begins by providing visitors with prisoner uniforms and officially registering them as prisoners. 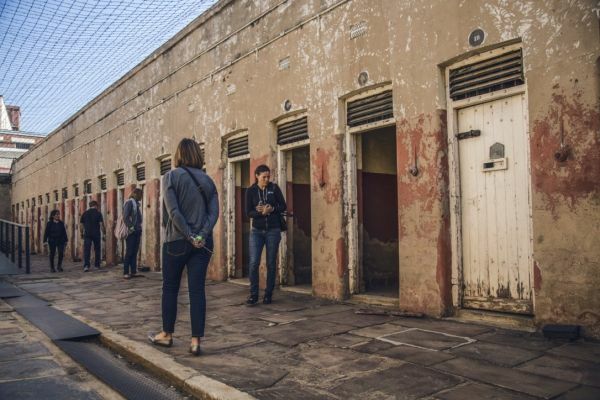 Men and women are separated and marched through the precinct by their warden-come-guides, who ensure that they undertake tasks specific to male and female prisoners. At the end of the tour, the two groups will reconvene for a tour of the Constitutional Court. 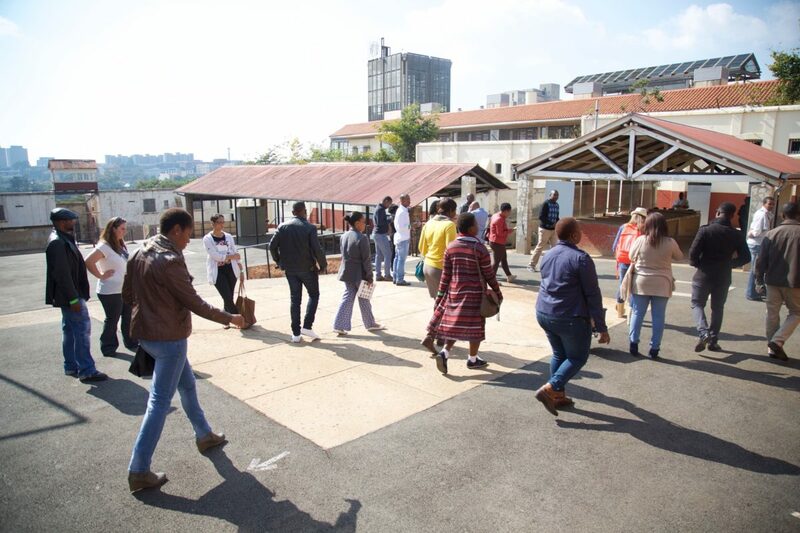 This experiential tour is inspired by the events around the arrest of the youth on 16 June 1976, a time of heightened political tension across South Africa and one borne out in the country’s prisons, particularly Constitution Hill. Our Time Travel Tour includes lunch at The Hill restaurant and takes place on the last Friday of every month. The tour is available to groups of 10 people or more and advance bookings are essential. Nelson Mandela, fondly known by his clan name, Madiba, was incarcerated at Constitution Hill on two occasions. Once, in 1956, before being transferred to Pretoria for the Treason Trial, and again in 1962, after he was arrested in KwaZulu-Natal, the arrest that would see him imprisoned on Robben Island. Mandela visited the prison on several other occasions, however, including in his professional capacity as a lawyer to a number of people, including his then-wife Winnie Madikizela-Mandela. A permanent exhibition has been established at Constitution Hill in his honour. 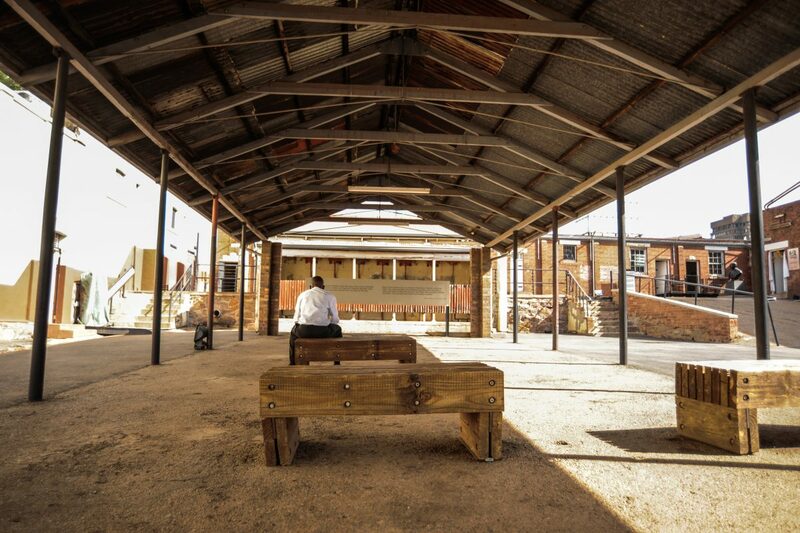 This tour traces the steps of Mandela around the precinct, starting at the Flame of Democracy, which Mandela lit from his home in Qunu to mark the 15th anniversary of the Constitution in 2011. It then proceeds to Winnie Madikizela-Mandela’s cell at the Women’s Jail, Mandela’s cell at the Old Fort (he was the only black prisoner to be imprisoned in the white male section of the prison, in order to keep him from influencing other black prisoners) and ends at the Constitutional Court. 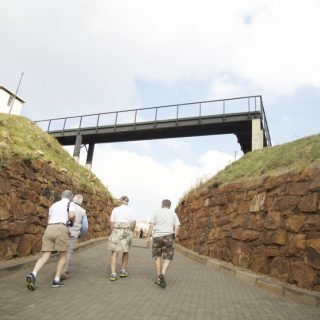 Our Walk with Madiba Tour is available for group bookings any day of the week. 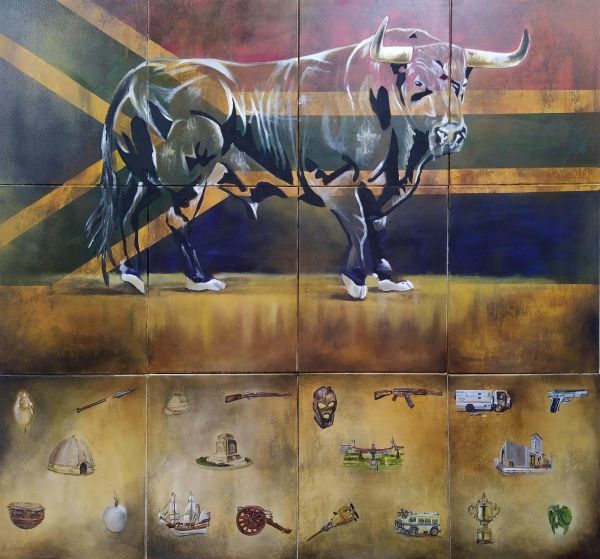 The Constitutional Court Trust owns and maintains an extraordinary collection of artworks donated by prominent artists and other benefactors to celebrate the court’s role in South Africa's transition to democracy. The collection was primarily assembled by Justice Albie Sachs, who practised as a judge at the Constitutional Court from 1994 to 2009. 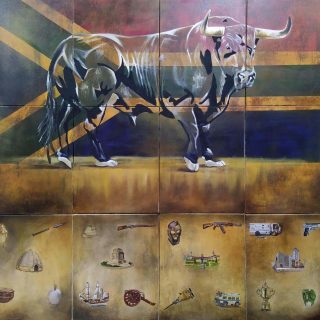 It includes artworks by such high-profile artists as Marlene Dumas, William Kentridge, Dumile Feni, Judith Mason, Willie Bester, Karel Nel, Cecil Skotnes, Hamilton Budaza, Kim Berman, Sue Williamson, Anton van Wouw, John Baloyi, Andrew Verster, Marc Chagall, and many others. 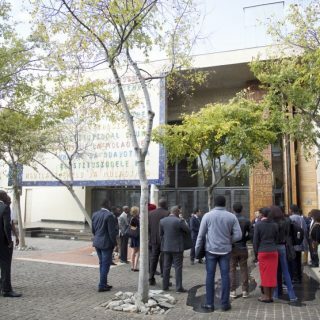 The collection is more than an aesthetic addition to the Constitutional Court building – it is a unique collection of South African and international heritage that contributes to education, critical debate and research on the roles of the Constitution and the court. 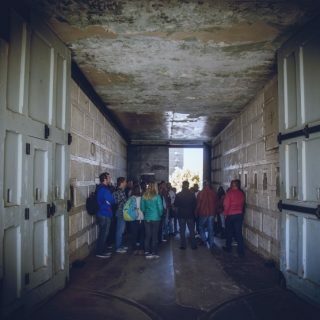 This tour can be booked any day of the week for groups of 10 or more people. There is also a free, regular Art and Justice Tour featuring part of the collection on the last Thursday of every month. The tour begins at 6pm at the main entrance to the court and lasts for approximately an hour and a half. South Africa's Constitutional Court, the highest court in the land, is a building rich in symbolism. Every aspect of its design, from its layout to its light fittings, was carefully considered and crafted in line with the theme of lekgotla, which refers to the traditional African custom of conducting justice beneath the branches of a tree. The tour begins with the story behind the now-demolished Awaiting Trial Block, the bricks of which were used to build the court, before moving into the court foyer and finally into the court chamber itself. 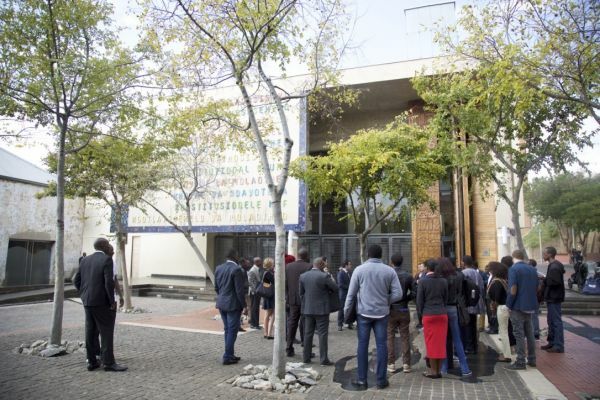 The Constitutional Court Tour is conducted by a court expert, who not only discusses the importance of the court in South Africa’s constitutional dispensation, but also the significance of the building's architecture and artworks. 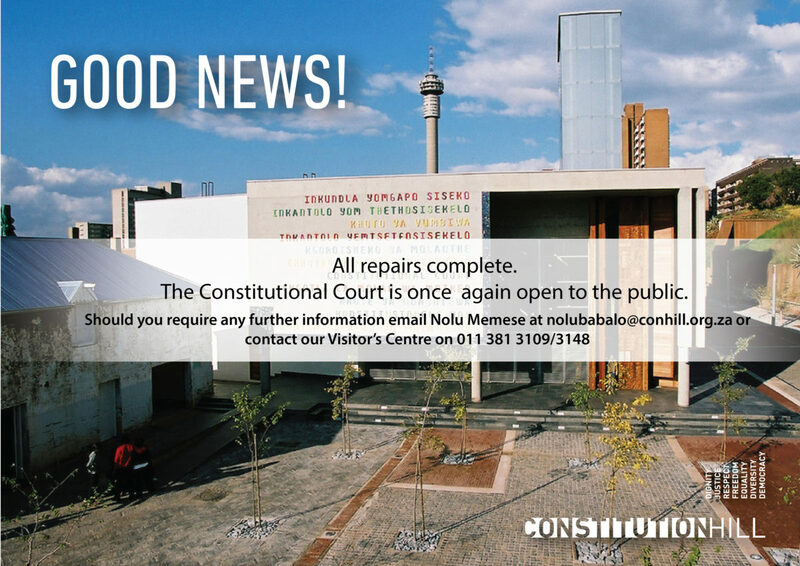 Visitors are welcome to ask questions on any matter relating to the court.